I am not a compulsive shopper at all. With a few exceptions, mostly the products I buy are a result of long research and contemplating sessions. I had been running out of a lot of supplies, so had to go for shopping. If anybody knows me well, they know that I am a women of few words. hehe.. So i straightaway present to you, my first little haul. Everybody beauty blogger has been talking about this. Finally bought it. 5. Mabelline Mirror – Free !! To tell you the truth, I kind of bought the Maybelline compact because of the mirror. The SA gave me this after I had paid for the stuff. Now here is a lot of random stuff, but I wanted to share it with you guys anyway. This better make my hair grow 3 times faster. You Can buy these chewable calcium tablets without prescription. Couldn’t decide on what Foundation to buy today. I have got extremely oily- sensitive skin. Any suggestions? And lemme know if you guys need information or review about any of these products. I'll try to make it fast. ive heard body shop or lancome foundations are pretty good! maybe have a test at the store with them?! hey !! i so loved the mirror :) and haul is awesome :):) i will try these calcium tablets some time..:):) right now i have calcium sandoz. nice haul! snickers is one of my favorites too! Glad you like my blog. I follow you back! Cheers! Thanks for your lovely comments ladies, really appreciate it. Thanks for checking my blog ^^ (please visit soon). And I do actually have a few recommendation for your type of skin (not my experience but a friend). She enjoys Make up forever HD but lately she feels as though its a hit to her pocket and so has decided to switch to MAC pro but she did say she had good and bad days with it :( but she really did like her MUFE. great haul! 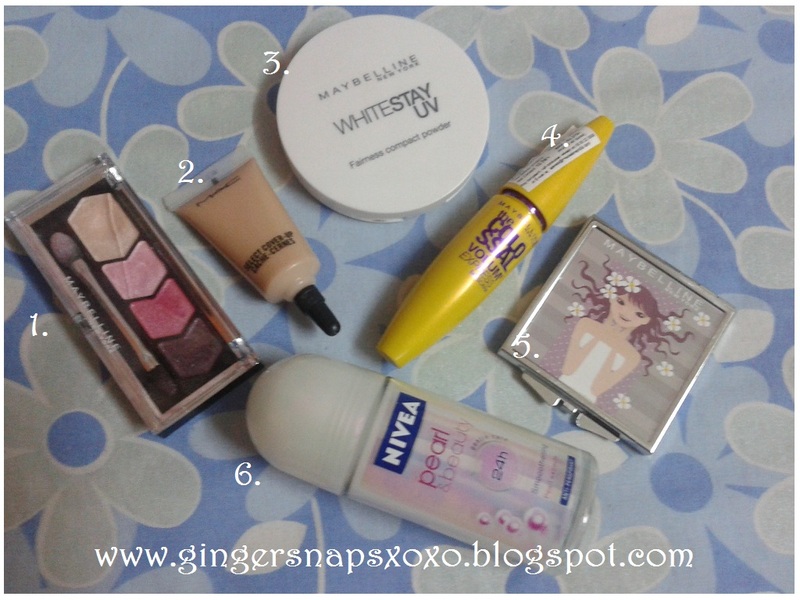 i haven't heard of Maybelline Whitestay UV Fairness Compact Powder but i want to try it! it sounds like something they'd release in asia, they have it in north america now too? Great buys! Love the snickers, heheh! I have the mostly same product you're using there.. ;) for oily sensitive skin I'd suggest you to use mineral mouse foundation from reliable brand such as The Body Shop or try to contact your dermatologist..because sensitive skin can't just use any free product, can they? you got all nice things! :D try The Body Shop or MAC for foundations.. they have skin specific ones..:| maybe lots of brands have thme.. :| but.. I LOVE the collosal volume mascara .its one my fav mascaras ever !! And ya snickers is my fav oo! 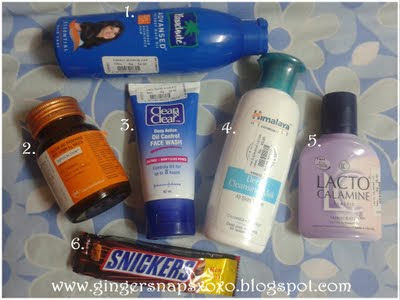 Its really good collection and price list also you mention each product. Most of the people like this kind of information only. if you know price means you are not fever about product cost. simply you purchase the product. Wow! Great Summer Haul! I loved most of the product in haul Even I have Nivea Pearl & Beauty Roll On but I am not very convinced with this product! Ever after using so much, I didn't notice any great results on my armpits yet! How was your exp with it?